Sassy, Champ, and Shadow from the movie “Homeward Bound: The Incredible Journey” are famous for their cross-country adventure to find their family, but they’re not the only four-legged family members to demonstrate an incredible ability to find their way home—no map or GPS involved. Not every dog has this seemingly supernatural gift, but every now and then, a story surfaces about a dog that travels miles through dangerous wilderness, rough countryside, or confusing city streets to be reunited with the ones they love. There’s even a story of a dog crossing the English Channel to find his owner fighting in a foxhole during WWII. It might sound far-fetched, considering the majority of today’s humans can’t get anywhere without first plugging the address into a GPS, but the real-life evidence doesn’t lie. In 2015, a dog named Georgia May got separated from her owner, Kris Anderson, when hiking at Penasquitos Canyon Preserve in San Diego. The area is known for its coyote population, and after a week of being missing, everyone had given up hope that the domestic dog was still alive. Anderson searched the area every day for eight days hoping for any sign of her beloved dog. What she didn’t realize, however, was that while she was scouring the area where she last saw her dog, Georgia May was already on her way home. On the ninth day, Anderson woke up and thought she was dreaming. She heard the familiar sound of the doggy door opening and closing, but with no Georgia May, she thought she was hearing things. A few seconds later, however, the missing dog walked through her bedroom door and hopped onto the bed. She was thinner than usual and obviously tired, but Anderson was overwhelmed with relief and happiness. Her dog had traveled around 35 miles to make it back home. Another dog, Hank, performed a similar act in Tennessee. After spending only six days with his foster mom, Tiffany Ford, Hank decided for himself that’s where he belonged. After his short stint with Ford, it was decided that Hank would be moved to a more permanent situation with a family about 11 miles from where Ford lived. The family picked up the dog in their car and drove the distance to his new home. His new arrangement didn’t last long, however, because Hank quickly learned how to unlock the front door and escape. He let himself out of the house when no one was around and decided he simply couldn’t live without his original foster family. He navigated his way across town, turning down roads when he needed to, and ended up plopping himself down on Ford’s front porch two days after he went missing. After that incredible display of loyalty, Ford knew Hank belonged with her, and she later adopted him. Georgia May and Hank not only survived on their own, they managed to traverse unfamiliar landscape to get where they wanted to go. For people who get lost driving through their hometown, this seems impossible. The mystery behind how dogs navigate is something researchers and animal behaviorists still don’t know the exact answer to. There’s too much we don’t know about the canine psyche. There are, however, a few theories that at least partially explain how some dogs seem to have this supernatural ability to find their way home. A dog’s nose is one of their most useful features. They use it to sniff out the candy wrapper you left in your pants pocket and to tell when you “cheated” on them by touching another dog. They can also use it to find their way around. One of a dog’s first instincts when they find themselves in unfamiliar territory is to sniff out anything that smells familiar. Most of the time, the strongest familiar scent ends up being their own personal aura. 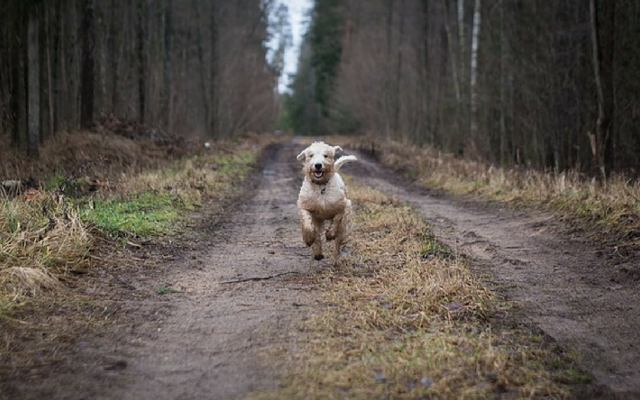 If your dog escapes your yard and ends up traveling by foot to a place they don’t recognize, they can follow their own scent trail back home. They most likely marked their path with urine along the way, and all dogs secrete their scent through special glands near their paw pads. Every step is like dropping an invisible, yet smelly, bread crumb. Dogs recognize their own scents, and they can also follow other familiar scent trails. The scent of their owner is an example. Everyone smells different, and even if other people are around, a dog’s impressive nose can pick out the exact path their person took and figure out which direction they’re heading. A distance that seems exceptionally far for any person that isn’t a marathon runner is relatively short for a dog’s powerful nose — they can track scents for miles. In this sense, Hank’s 11-mile trek isn’t that impressive. But a key part of the story to remember is that Hank was taken to his new home via car. He never had the chance to leave himself a scent trail, and the person he was looking for never walked that path either. So how did he do it? Anyone who’s ever taught a dog how to sit knows that dogs have decent memories. They don’t have the cognitive abilities to remember things like people do, but their behavior clearly shows they can hang on to information for later use—especially when that information has to do with their basic survival instinct. Remembering where food and shelter are located is an example. Their instinct stems from their wild ancestor’s need to survive, and it has since evolved based on the modern dog’s lifestyle. If you’re out on a walk and your dog sniffs out a fast-food container carelessly left on the ground, they’ll probably try and go after it because it smells like food. You can keep them from eating mysterious trash if you’re fast enough, but diverting their efforts doesn’t erase the potential food source from their mind. Once you reach the end of the path and turn back toward your home, your dog will remember the exact spot where his earlier efforts to get the good-smelling trash were thwarted. They’ll try again, and even if a good citizen came along and picked it up, your dog will remember the spot where it was supposed to be, even if it’s long gone. After a few daily walks in your neighborhood, your pup won’t need you to tell them which turn takes them home. They’ll memorize the path, and that ingrained knowledge will come in handy if they ever decide to leave the house solo. Now, back to Hank. It’s possible that the Shepherd went on a few walks during his short tenure at his foster home, but six days isn’t a lot of time to learn the area to the extent that he could find his way home. And even if he did memorize the roads leading to the Anderson’s house, his journey started in an area completely new to him. There’s no way he was following a memorized path. The same goes for Georgia May, whose journey was even longer. A study published in Frontiers in Zoology in 2013 confirmed a theory animal behaviorists have suspected for generations. The research team looked into the idea that dogs have a kind of internal compass that allows them to tune into the Earth’s natural magnetic field. Basically, it means they always know (at least subconsciously) which way is north. The study tested the theory that dogs prefer to mark their territory and go to the bathroom while facing either north or south. After observing literally thousands of potty breaks, they found that dogs are indeed sensitive to magnetic directions. It seems clear that dogs have some kind of sixth sense that gives them a navigational advantage, but what isn’t clear is how they’re actually doing it. Sea turtles, birds, and other migratory animals use the Earth’s magnetic pull to tell them which direction they need to go, but their destinations are already hardwired into them. Hank wasn’t born knowing where his foster mom’s house was, and he didn’t even know she existed until a week before he ran away to find her. It’s clearly different than a sea turtle finding its way to a nesting area its ancestors have been visiting for generations. Amy Mall tackles the topic of canine navigation in her book, “Dog Gone Missing.” She tells the story of a friend’s dog, Quint. Quint loved his family, but after about a year of living with them, he went and stayed with a family friend while his own people went on a three-week road trip. 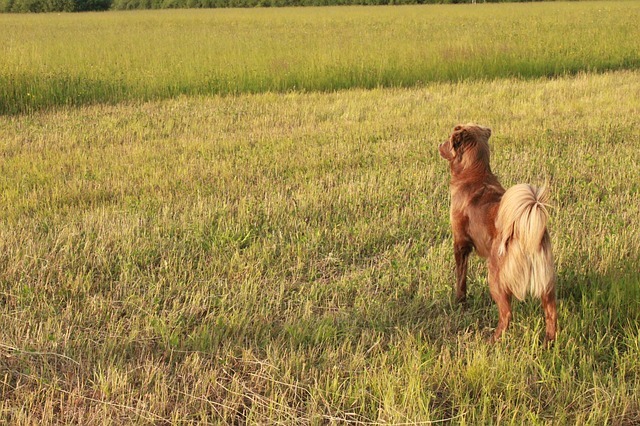 The place where he stayed was in the middle of the country, and even though he’d never been a country dog before, he fell in love with the lifestyle. When it finally came time for Quint to go back home, he was happy to see his family, but he also decided he belonged on the farm. He rode in the car back to his house, but once he got there, he disappeared. 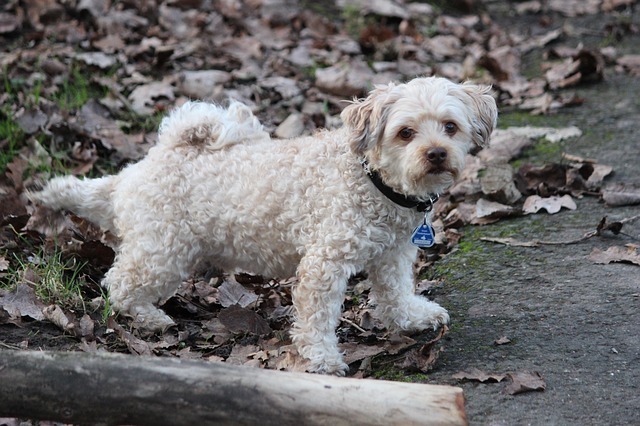 His family later learned their small dog had managed to figure out the correct route back to the farm, even though it was seven miles away and he’d only traveled it once before by car. Was Quint following an internal compass that pointed him in the right direction of where he wanted to go? Mall brings up the question, “Is it instinct or intelligence?” The answers to these questions require more research and a better understanding of what goes on behind those puppy dog eyes we love so much. But either way, something is going on that we humans don’t quite understand. Whether it’s an extreme sense of smell, memory, a magnetic pull, or even some kind of telepathic connection between dogs and the people they bond with, there’s no doubting the fact that dogs like Georgia May, Hank, and Quint have a better sense of direction than the people holding their leashes.